It was a little chilly this morning so we had to dig out hoodies. Z actually picked out her own and was thrilled to wear it with the hood on all the way to daycare. 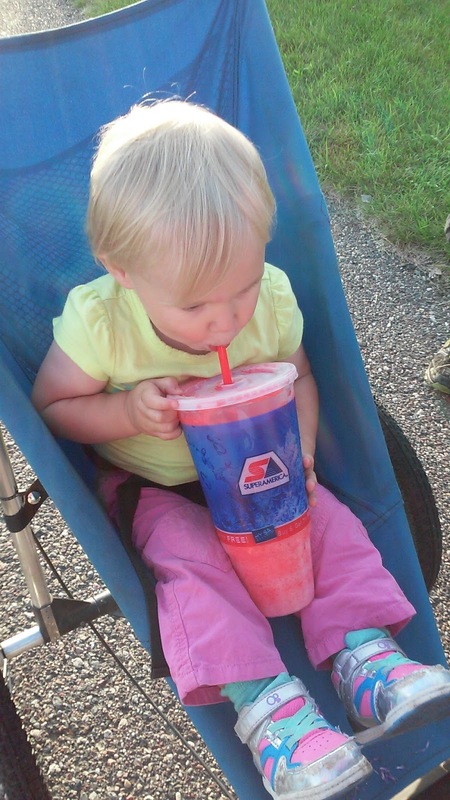 I should have put blue pants on her to make the outfit even better but I didn't think of it until now. 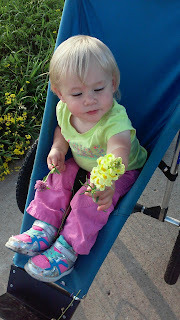 On our walk we picked some wild flowers. 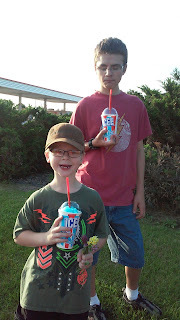 We walked all the way to the gas station to buy icees as a treat. Z tried to steal Dads but he wouldn't let her have it all.